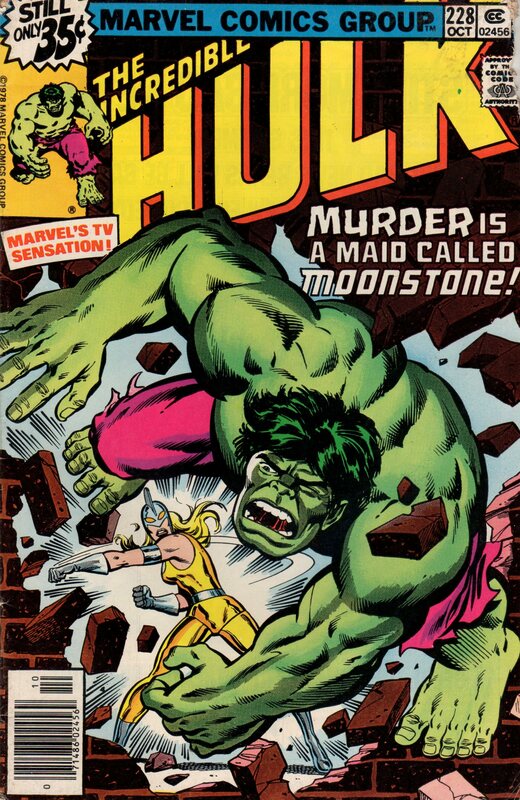 The Incredible Hulk 228, 1978 “BAD MOON ON THE RISE!” | Magazines and Monsters! Ever feel alone? Like no one else even cares? 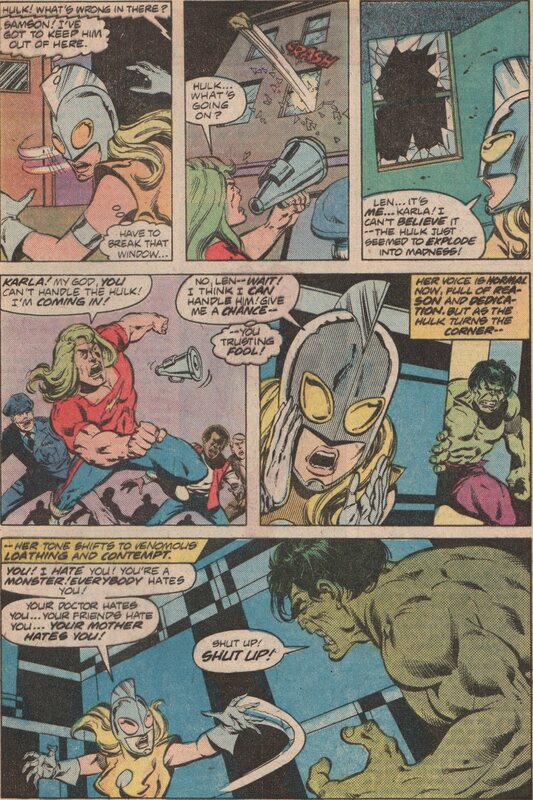 The Hulk knows about these things, and a lot more! 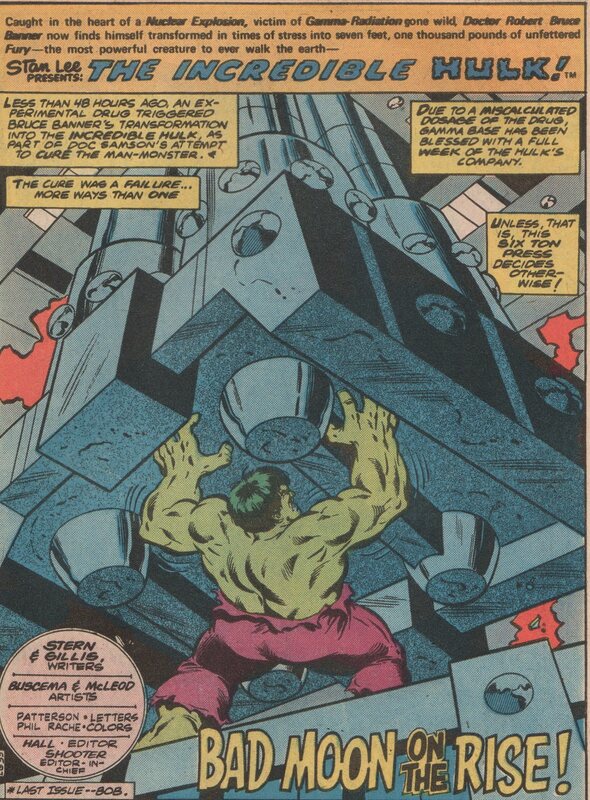 Bruce Banner/The Hulk is one of the most interesting characters Marvel (Kirby and Lee) ever created. 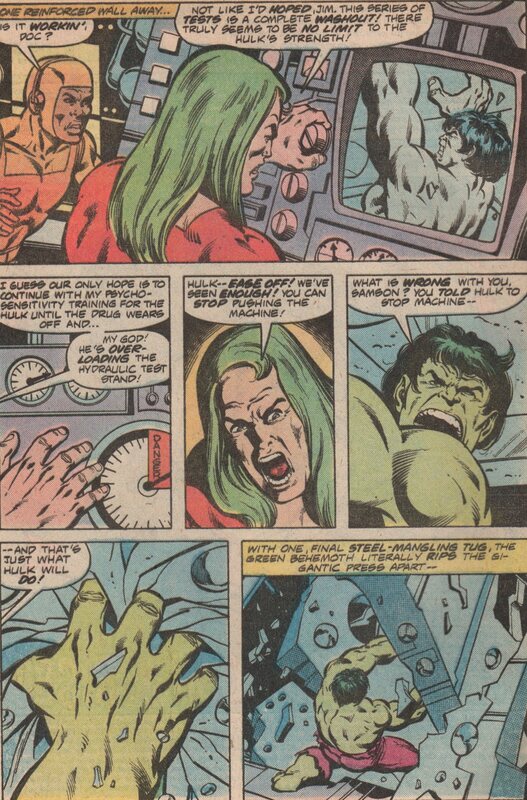 The scientific aspects, the pain Banner feels when he realizes what the Hulk does when he’s out of control, his love for Betty but not being able to be with her, her father wanting him dead, etc. 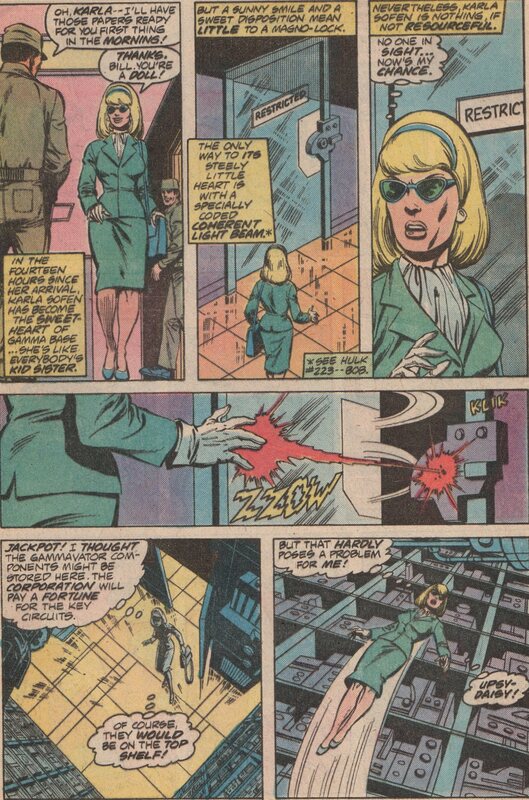 This issue focuses on a character called Moonstone (the first appearance of this villain), and her shady beginnings. Also some Doc Samson for fans of that character. The cover to this book is one of my all time favorite for this character, and exactly why Herb Trimpe (R.I.P.) is such an under-appreciated artist (inks by Bob McLeod). His work spanned several decades and I think we should all give him more love, yes even if it is posthumous. The story is written by two gentlemen, and both are names that you will easily recognize. 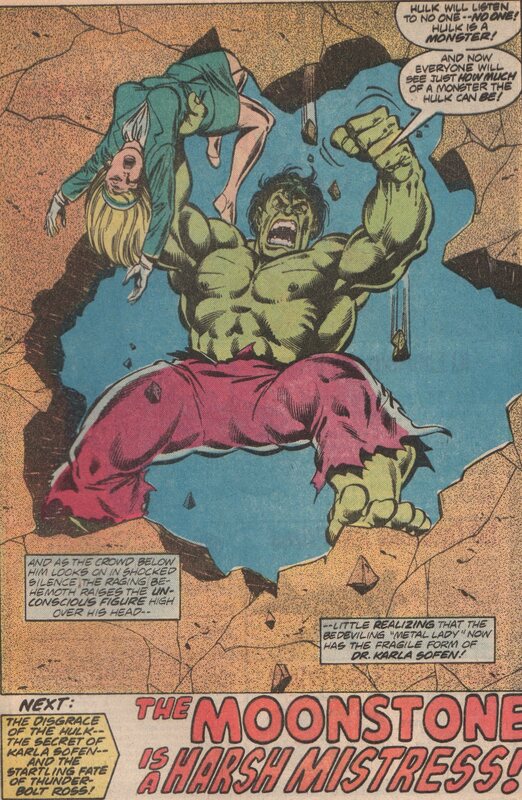 Roger Stern and Peter Gillis did a fine job on this one, and showed all the classic tropes that made the Hulk such a wonderful, and sympathetic character. The interior artwork is a great team, and anytime you get Sal Buscema (pencils) and Bob McLeod (inks) together, it’s a good time. The colors are by Phil Rachelson, the letters by Bruce Patterson (Bob Hall, editor).